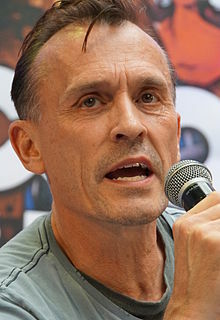 رابرت نپر (اینگیلیسجه: Robert Knepper) آمریکالی اوْیونچو. ۸ ژولای ۱۹۵۹ ‏ ایلینده آمریکادا دۆنیایا گؤز آچیب. 1986 The Paper Chase Howard Episode: "Graduation"
1987 Tour of Duty Racist Soldier Episode: "Burn, Baby, Burn"
The Twilight Zone Alonzo Episode: "Joy Ride"
Tour of Duty PV2 Allen Episode: "Burn Baby, Burn"
Star Trek: The Next Generation Wyatt Miller Episode: "Haven"
1989 Gideon Oliver Paul Hecht Episode: "Kennonite"
Civil Wars Joey D'Amato Episode: "Have Gun, Will Unravel"
1992 Tequila and Bonetti Ren Philips Episode: "Runt of the Litter"
Red Shoe Diaries Nick Willard Episode: "You Have the Right to Remain Silent"
1995 Law & Order Igor Smith Episode: "Rebels"
New York Undercover David Carson Episode: "Buster and Claudia"
New York News Ex-Con Episode: "Fun City"
Pointman Ronnie McCusak Episode: "Here She Comes, Miss Murder"
Central Park West Randy Boyd Episode: "Guess Who's Come to Annoy You?" The Big Easy Jack Gentry Episode: "The Gambler"
1997 The Visitor Alex Burton Episode: "Dreams"
1998 ER Keith Reynolds Episode: "My Brother's Keeper"
Brimstone Assistant D.A. Stewart Lambert Episode: "Executioner"
1999 Strange World Gil Sandifer Episode: "Azrael's Breed"
Star Trek: Voyager Gaul Episode: "Dragon's Teeth"
2000 Harsh Realm Priest Episode: "Camera Obscura"
Profiler Martin Lewis Episode: "Tsuris"
Seven Days Major Gene Hastings Episode: "Space Station Down"
La Femme Nikita Henry Collins Episode: "Toys in the Basement"
2001 The West Wing Morgan Ross Episode: "Ellie"
Law & Order: Criminal Intent Dr. Peter Kelmer Episode: "The Good Doctor"
2002 Haunted Henry Episode: "Pilot"
CSI: Miami Freddy Coleman Episode: "Addiction"
2005 Point Pleasant Demon Dance Host Episode: "Last Dance"
Chase Jack Druggan Episode: "The Comeback Kid"
Criminal Minds Rhett Walden Episode: "Reflection of Desire"
Breakout Kings Theodore "T-Bag" Bagwell Episode: "The Bag Man"
The Blacklist The Courier Episode: "The Courier"
2014 Arrow William Tockman / Clock King Episode: "Time of Death"
The Flash William Tockman / Clock King Episode: "Power Outage"
2015 Chicago Fire Adrian Gish / Trenton Lamont Episode: "3 Bells"
Chicago PD Adrian Gish / Trenton Lamont Episode: "A Little Devil Complex"
NCIS Benson Long Episode: "Personal Day"
American Horror Story: Hotel Lieutenant Episode: "Room Service"
The Orville Hamelac Episode: "If the Stars Should Appear"
↑ Andreeva, Nellie (August 16, 2016). ‘Homeland’: Robert Knepper Set To Recur. Deadline.com. یوْخلانیلیبAugust 17, 2016. اینگیلیسجه ویکی‌پدیاسی‌نین ایشلدنلری طرفیندن یارانمیش«Robert Knepper»، مقاله‌سیندن گؤتورولوبدور. ( ۲۲ ژانویه ۲۰۱۸ تاریخینده یوْخلانیلیبدیر). قارداش پروژه‌لرده رابرت نپر گؤره داها آرتیق بیلگی‌لر تاپابیلرسینیز.